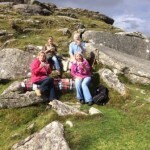 Why a Dartmoor Holiday Cottage? 368 square miles of adventure and outstanding natural beauty on your doorstep! Our self catering holiday cottage in Lustleigh, is nestled in the Wrey Valley area of Dartmoor National Park, making it the ideal base for a holiday exploring all that Dartmoor and Devon have to offer. 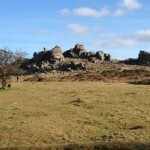 Steven Spielberg said “I have never before been gifted with such an abundance of natural beauty as I experienced filming War Horse on Dartmoor“. 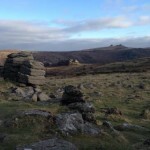 It’s no wonder that Dartmoor has been immortalised in so many novels and films: War Horse; Wuthering Heights; Lorna Doone and Hound of the Baskervilles are probably the most famous. 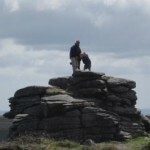 Authors often portray Dartmoor as atmospheric windswept craggy moorland with swirling mists but Dartmoor is so much more! 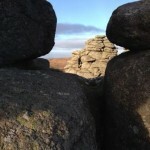 Dartmoor National Park is one of Britain’s Breathing Spaces. 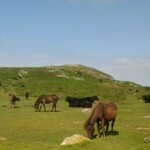 It provides a rich habitat in which wildlife flourishes – although, it’s probably most known for Dartmoor ponies and Dartmoor Prison. 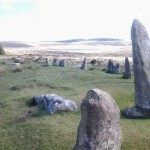 Those that know Dartmoor well, will tell you that it’s packed with striking granite tors (there be ‘bout 160 of ‘em me hansome! 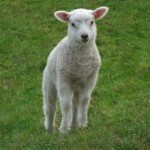 ), wooded valleys, rough grazing land, amazing views as well as picturesque villages and tucked away hamlets. 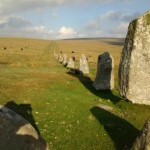 Dartmoor is also home to old clapper bridges, stone circles, mines, quarries and over 10,000 ancient sites. 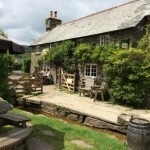 They might also mention that it boasts some of the best public houses in the country, many serving fantastic food and Dartmoor’s very own and very fine Jail Ale. 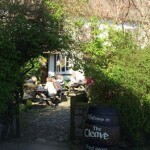 We have The Cleave Public House very close to our holiday cottage serving a good range of food at affordable prices with a lovely cottage garden for summer and a traditional snug bar which is popular in the winter months. 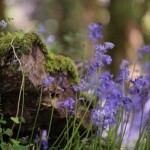 Visit Dartmoor during spring and be surrounded by an abundance of bluebells, wild flowers, gamboling lambs and the famous Dartmoor ponies. Summer, when Dartmoor is covered in pink heather and yellow gorse, is perfect for picnics and swimming in secret rock pools and rivers. Autumn sees heather carpet the hills in a thick, purple bristle, with fantastic sunsets. Winter makes walking over open moorland a must for blowing away the cobwebs, with the promise of a glass of wine or pint in a cosy pub with open fire and warm welcome. 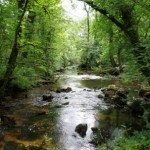 Try one of the stunning Dartmoor walks starting from the holiday cottage in Lustleigh. 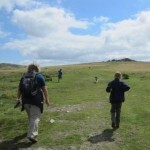 Whilst many come to Dartmoor to visit places of natural beauty and enjoy the stunning scenery, there is an abundance of walking routes to suit all tastes and abilities. There are over 400 miles of public rights of way, endless paths, tracks and open moorland to explore; all you have to do is choose how you want to do it! 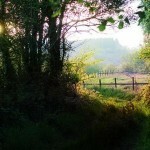 You can explore on foot, bike or horseback. Or for the thrill seekers, use the many torrent rivers to explore by canoe! It’s also the perfect place to try something new, such as river swimming, ballooning and letterboxing or its modern equivalent geocaching. 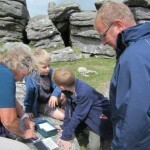 Dartmoor is the home of letterboxing which is believed to have started in 1854. 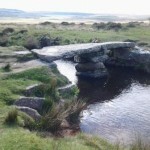 It’s a fantastic way to explore the moors and kids love it. For the more adventurous there are a range of outdoor activity centres, there’s even a Bear Grylls Survival Academy – you don’t have to do the 4 day commando survival course, they do offer a 24 hour family course. 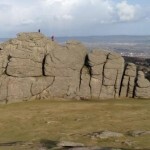 With it’s many tors, Dartmoor is the ideal place for climbers to test their skill or try their hand at bouldering. If adventure is not your thing there’s always fishing and amazing stargazing, thanks to the extremely low levels of light pollution. 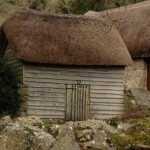 Or, visiting the many charming towns and attractions on and around Dartmoor. Of course no stay would be complete without exploring some of Devon’s coastal towns and beaches. 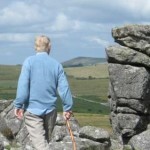 There’s so much to see and do whilst staying at our holiday cottage on Dartmoor……..